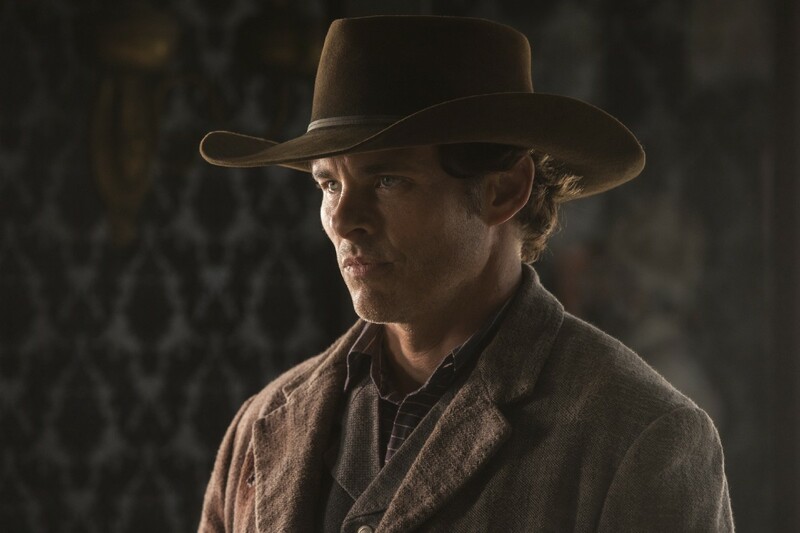 One of the most striking transformations over the course of Westworld‘s second season, at least in the last few episodes, has been the extreme personality shift of Teddy (James Marsden), brought on by the code alteration ordered by Dolores (Evan Rachel Wood) back in episode 5. Through the first season and a half, we’ve seen a Teddy that is sweet but confident, nice but able to kill you in a second with his gun-slinging skills, all with the greater intention of running away and starting a new life with Dolores, the love of his life. Since his code alternation, the new (and improved?) Teddy is a killing machine, literally. Cold, emotionless, trigger-happy, his 2.0 update now sees him gunning down whoever he has to, human or host, in order to fulfill the mission. Fans are, of course, split in their reaction to the new Teddy – some miss his warm-hearted persona, while others applaud the stone-cold killer he’s become. But how does Marsden himself feel about the transformation? The actor recently sat down with The Hollywood Reporter to discuss Teddy 2.0, how he felt when he learned about his character’s arc over the season, and what we can expect from the final 3 episodes. Does this mean we may see the old Teddy again before the season is over? 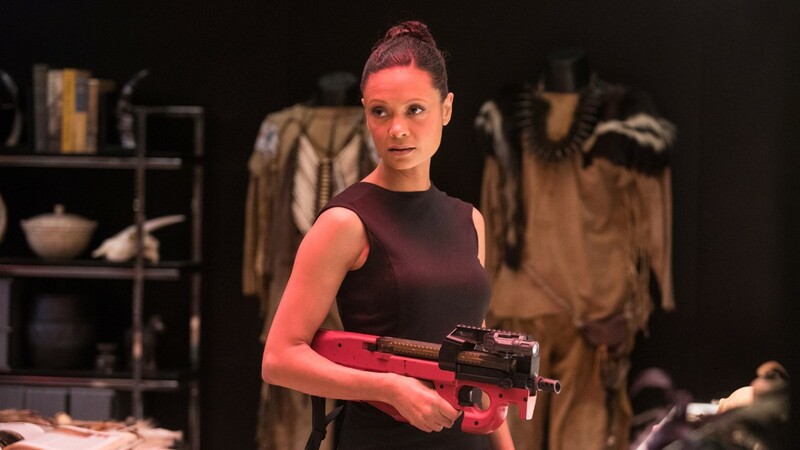 It’s logical to believe that Dolores could, in theory, simply undo the coding changes if she can find a competent Delos tech (or at least a control tablet), but will she want to, now that she has an incredibly skilled killer at her disposal? Check out Marsden’s entire interview with THR here. This season has seen a major expansion of the show’s scope, not only in terms of narrative, but in terms of the new locations that have been introduced over the first 7 episodes. 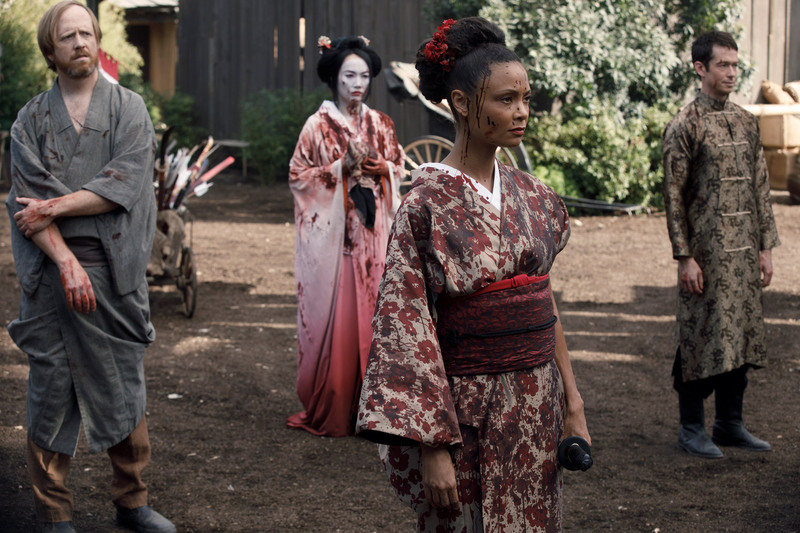 Thus far, we’ve, of course, gone back into Westworld, but on top of that, we’ve been introduced to Shogun World (an expected newcomer) and The Raj (not-so-expected). Along with expanding the show’s cultures and dialects through these new worlds, we’ve also seen a major expansion in terms of costuming. And that’s where two-time Oscar nominee and Westworld Costume Designer Sharon Davis comes in. Davis also provided Decider with some of her early costume sketches for the season. You can check the sketches out below and read her entire interview here. #Westworld is known for capturing every little detail. Go BTS with makeup artist Elisa Marsh and discover the nuances that make this show so captivating. Check everything out and let us know what you think! Thanks for the write-up, Dylan! James’s comments were especially intriguing. It brings you to that Delos tablet view of Bernard’s brain, with all the “+” marks all around the brain that you used to not be able to click. Now each one is linked with a video of Bernard this season– and it asks you to put them in order at the bottom. Haven’t tried it out yet, but I will to see what happens if you get it correct! Hmmm… that’s very strange. I completed it at the tail end of work today but I’m pretty sure it let me use all 20 clips. I was a little disappointed at the end, it just sort of said it was completed and that was it… maybe HBO just put that up to help us figure out a linear timeline for Bernard because his story has been the most confusing. I imagine that’s it, but yes that’s a bit disappointing.